Mix Vanilla essence in Butter slowly and keep stirring. Preheat the Oven at 300 degrees for 10 minutes. After they are mixed the ingredients will be little dry still. Now start adding buttermilk slowly and keep on stirring the mixture till it is smooth. Take one table Spoon and keep on adding on Cookie sheet or parchment paper or greased foil paper. Now bake the cookies for 30 minutes or till they are golden brown at 350. 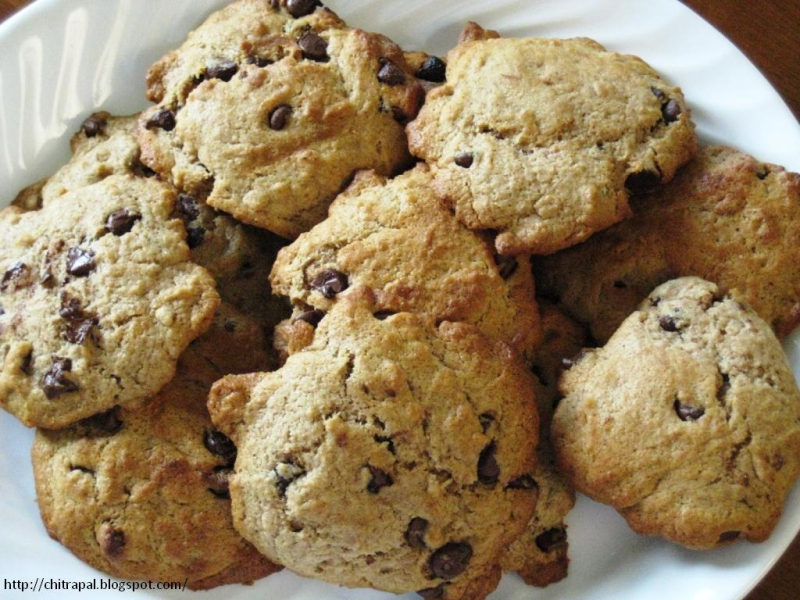 These eggless cookies, whole wheat cookies are healthy for your family, you can serve them with milk.